Marketers may love to deal in generational stereotypes, but new research from Deloitte shows that brands might do better shaking off their Gen Z and millennial myopia. Deloitte designed the research, based on 3,000 American adults, to uncover shopping behavior, channel preferences and ideas about innovation, brands, health, convenience and technology. And while it certainly finds many obvious generational differences -- Gen Z has the lowest income and rate of marriage, while baby boomers have the highest, for example -- there are many more similarities. The majority of each age group says saving money is the most important thing to them, for example, which means they favor store brands. They’d all rather shop for food in person, and do so at least weekly. And most don’t want ads or coupons sent to their smartphone. “Today, all generations are exposed to the same disruptive forces of globalization, innovation, technology, and the social media revolution, causing a melding of attitudes and behaviors,” the report says. As a result, four major personality types emerged, confounding plenty of assumptions. For example, while the group it calls aspirationalists are most likely to fall in either the Gen Z or the millennial age bracket, they are also the most likely to warm to old-school marketing, with 83% saying they like to see ads on TV. 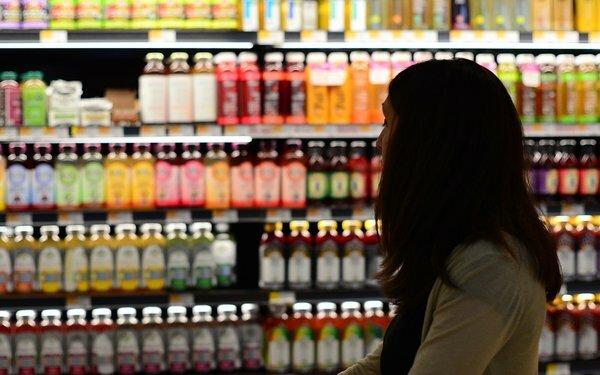 And despite the perception that millennials are all clamoring for product transparency, this research finds that a group it calls discerning achievers are the most ingredient-obsessed, preferring products that are healthy and even those with “home-made” ingredients. Yet this is also the group that tends to skew the oldest, with many in the Gen X or baby boomer segment. A third group, which it calls responsible go-getters, are more likely to be married, in either the Gen X or millennial bracket. And while they are relatively high-earning, they are also most interested in coupons and discounts. And finally pragmatists, who tend to be either Gen X or baby boomer, are the least open to conventional marketing, and the most likely to evaluate purchases solely on price. The report finds age stereotyping especially misleading when it comes to online shopping preferences. Gen Z respondents say they shop in a physical store for food 68% of the time; for household care products, 58% of the time; and personal care items, 51%. Their only clear online favorites are clothing and shoes. And despite all the buzz about millennials and Gen Z being less tied to brands, the study found the reverse to be true, with 87% of millennials and Gen Z saying they buy name brands, and Gen X and Baby Boomers more open to store brands. 2 comments about "From Go-Getters To Achievers, Research Rattles Gen-Z Myths". Larry Wiken from WIKEN INT"L, August 28, 2018 at 10:45 a.m.
Paula Lynn from Who Else Unlimited, August 28, 2018 at 11:14 a.m. When idealism meets pragmatism meets costs meets reality is more like what you are describing. May it work.